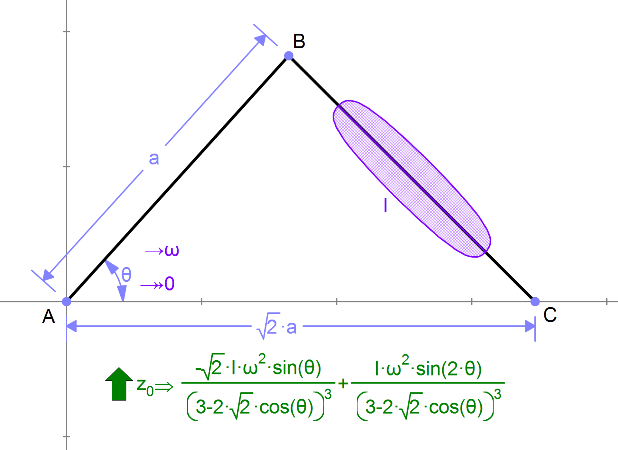 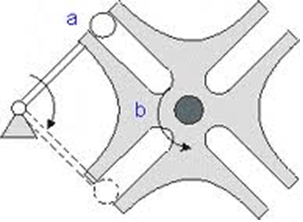 Member A rotates continuously, while B rotates 90 degrees at a time. 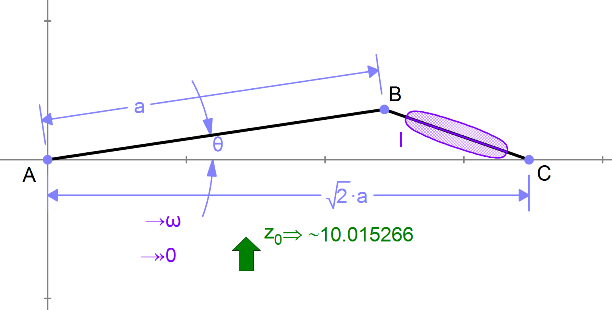 We’d like to compute the maximum torque required, assuming b has moent of inertia I. 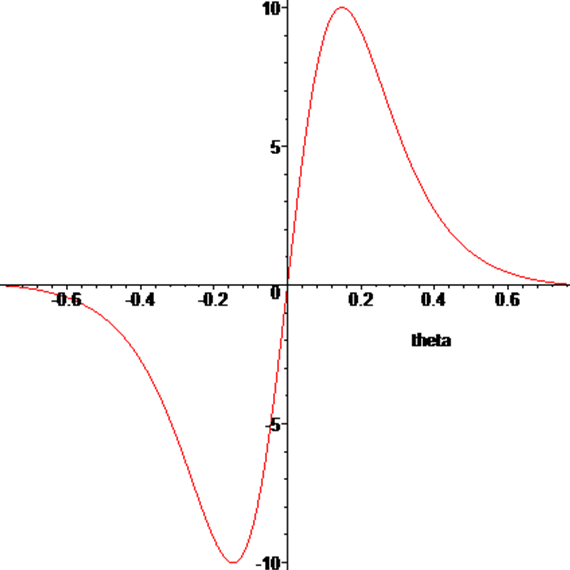 We can set the numeric value of θ in the variable panel, and look at the numeric reaction torque to get our maximal value (or we could have read off the graph above).